​Why make another movie about Jesus? Locate a Bible and turn to the few pages in the New Testament containing Jesus' life on earth; Matthew, Mark, Luke and John. Separate these pages from the rest of the Bible and hold it up with these pages between your thumb and index finger. That's all we've had for 2000 years! Now compare these few pages with over 700 pages contained in "The Book of Jesus" the actual account of His Life and Teachings as recorded by His Angels and assistants while He was here on earth. "There was war in heaven; Michael’s commander and his angels fought against the dragon (Lucifer, Satan, and the apostate princes); and the dragon and his rebellious angels fought but prevailed not.” This “war in heaven” was not a physical battle as such a conflict might be conceived on Earth. In the early days of the struggle Lucifer held forth continuously in the planetary amphitheater. Gabriel conducted an unceasing exposure of the rebel sophistries from his headquarters taken up near at hand. The various personalities present on the sphere who were in doubt as to their attitude would journey back and forth between these discussions until they arrived at a final decision. But this war in heaven was very terrible and very real. 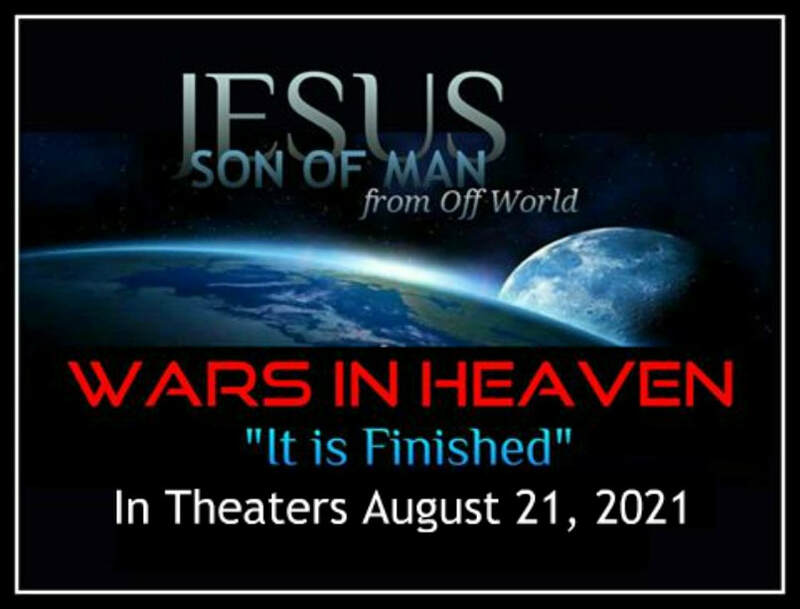 While displaying none of the barbarities so characteristic of physical warfare on the immature worlds, this conflict was far more deadly; material life is in jeopardy in material combat, but the war in heaven was fought in terms of life eternal." This world has never seriously or sincerely or honestly tried out these dynamic ideas and divine ideals of Jesus’ doctrine of the kingdom of heaven. But you should not become discouraged by the apparently slow progress of the kingdom idea. Remember that the order of progressive evolution is subjected to sudden and unexpected periodical changes in both the material and the spiritual worlds. Over the past two years almost 100,000 posts have been made throughout the major social media sites about Jesusanity and the true Teachings of Jesus. Jesusanity is now branded and many lives are changing worldwide. This has been done by a small group of people dedicated to this restatement. Please now help us "Change the World" by participating in the making of His Movie. What now is needed is to write the script. Our last resources have been spent meeting with Producers, Directors and Script Writers in Hollywood. No one there is willing to venture without a script, and no one there can write the script but someone very familiar with the Book of Jesus; His actual life and teachings. We need each of your help now each month as this is a huge undertaking and will take from six to eight months to write. Will you please help sustain this?